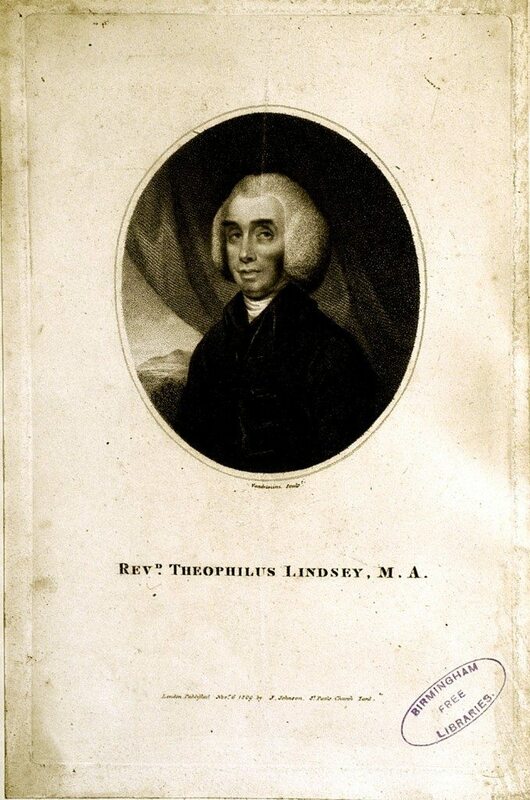 During these years Priestley also made durable friendships in the world of non-conformity, and its is from the surviving correspondence with men like Dr Richard Price and the Revd Theophilus Lindsey (founding father of Unitarianism) that we really get the measure of our man. Above all, we get a sense of the centrality of his religious beliefs and of his unending quest to uncover the authentic voice of scriptural authority by stripping away all man-made doctrinal accretions. His growing self-confidence and vigour as both a religious and a political controversialist was probably what brought the Shelburne phase of his career to an end. In 1780 the earl and his companion-librarian parted company, an event which launched Joseph Priestley into the second and more sombre – one might almost say more destructive – phase of his life. That year he arrived in Birmingham and took up the post of minister to the New Meeting, one of the town’s presbyterian congregations.